Ofcom has put Big City Radio on notice and found it in breach of its licence for not providing enough locally-produced content. The station should be providing 24 hours a day of locally-produced content, but Ofcom listened to the station earlier this year and said original output amounted to three hours on Thursday 25 January, five hours on Friday 26 January and 12 hours on Saturday 27 January. The Birmingham station, which has been broadcasting as a community radio station on 89.1FM for the last 13 years, said it didn’t realise automated programmes needed to contain station jingles to ensure they meet the locally-produced hours requirement. 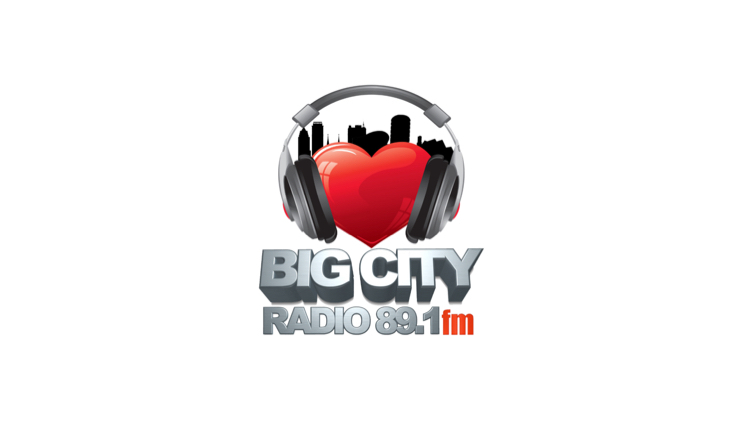 Big City admitted that “as a group there were many rules about radio that [the presenters] did not understand”, including the need for automated programmes to contain station ‘jingles’ to ensure they meet the locally-produced hours requirement. The Licensee explained that the compliance officer had interviewed the presenters to establish what had been broadcast as he does not listen to the overnight programmes. The Licensee explained that all of its content is produced in the studio and therefore meets the requirement to be locally-produced. However, Ofcom noted a programme called Seth Sessions broadcast between 05:00 and 07:00 Friday 26 January. DJ Seth was not referred to on Big City’s website or schedule. Similarly, between 00:00 and 01:00 on Saturday 27 January, a programme called The All Mighty Sounds of Mr DJ Henry Hall was broadcast. DJ Henry Hall is from New York and is not referred to on Big City’s website. Ofcom also noted that the content broadcast from 01:00 to 05:00 on Saturday 27 January was continuous music that appeared to continue from The All Mighty Sounds of Mr DJ Henry Hall programme. “There was nothing in these broadcasts to indicate that they were transmitted from within Big City’s licensed coverage area, such as presenter chat or station ‘jingles’ and the Licensee did not provide any evidence that this content was locally-produced,” Ofcom said. Big City said that it is now back up to its full complement of presenters and that there would be more live programmes going forwards. Original output does not need to be live. Original output can be voice-tracked, however, it cannot be automated playout of continuous music with no speech content. Ofcom added: “We are putting the Licensee on notice that Ofcom is likely to monitor this service again and, should further breaches of this type occur, we may consider further regulatory action including the imposition of a statutory sanction. The station launched on 1 November 2005 as Aston FM, before rebranding as Big City four years later. Pity Ofcom are not as bothered about all the LOCAL programmes that have been lost by them allowing Heart and Capital to take over every frequency there ever was available for LOCAL content. As ever small boys kicked big boys left to their own devices. Bunch of hypocrites! I agree with you entirely and Big City have provided a lot more local programming over the years than some so called local stations.However,what counts as ‘local’ such as short recorded announcements,jingles and hours of mainly non-stop music has been ridiculous for years in my opinion.We now have a situation where a lot of the licences awarded many years ago who once provided presenter-led programmes around the clock can now do non-stop music shows with a few announcements for 11 hours a day (and more at weekends).How can a community station afford to do this if a fully commercial station cant?. If they can’t afford to do what they promised then they should apply for a free change to their commitments, or admit defeat and hand their licence back. It seems to me Ofcom just pay lip service to local content and are in bed with the big media companies such as Global. I can’t see any other way that Global, Bauer et al have got away with destroying local radio in this country. Ofcoms remit seems to begin and end with business profitability now, and nothing else. Amazing that playing a few local jingles would have made a difference rather than just non-stop music. What counts as local these days is crazy in my opinion whatever station we are talking about. True. It needs a good looking at. So it gets found breach of it, s licence. Just a telling off from ofcom?. It’s so easy for Ofcom to bully the little stations isn’t it? Pity they haven’t got the balls to stand up to the big names. The fact is that the big boys are generally better at following the rules so you hear less about them. Not exactly a level playing field here is it ?…..The BIG BOYS get away with murder….No local content whatsoever in many cases, but its easier to pick on the small outfits. The Corporates are screaming for deregulation, so they can have National radio by the side door, and Ofcom bleats about local content from a Community station. Time the rules were the same for everyone! Every community radio station decided its own rules on how much local content they will make. Ofcom is simply making sure they are stuck to. It would have been better to say you will provide 4 hours a day locally produced and over deliver, rather than committing to 24/7 local. What a joke, ID’ing you station is one of the top rules in a crowded market especially. Even the pirates they are doing a poor job of trying to sound like know this!